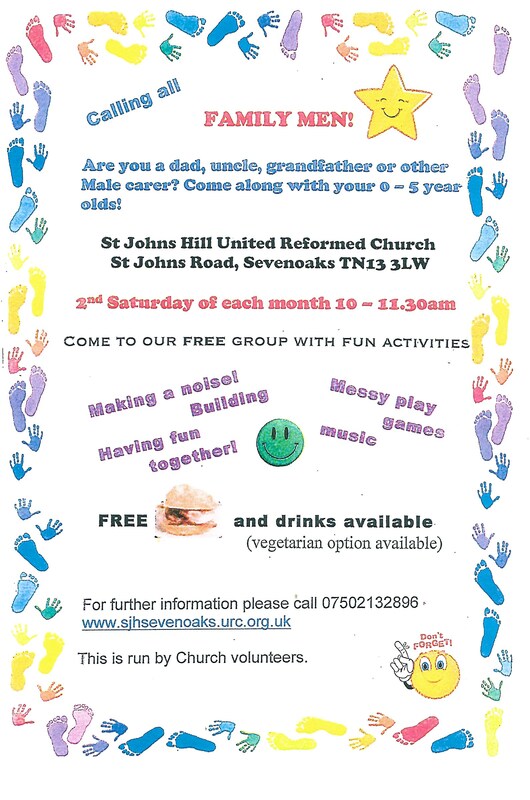 The Family men group meets on the 2nd Saturday of each month, between 10.00 to 11.30 in the Large Hall. This is a gathering for any men (Fathers, Uncles, Dads, Grandparents, Carers…) and their pre-school children. 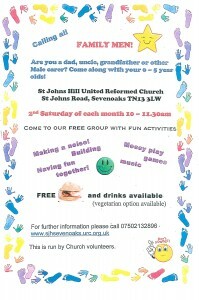 The children can enjoy messy (or other) play, model making, painting, making a noise, and even singing together, with a squash etc; the menfolk can enjoy a hot drink, bacon roll and sharing with each other.